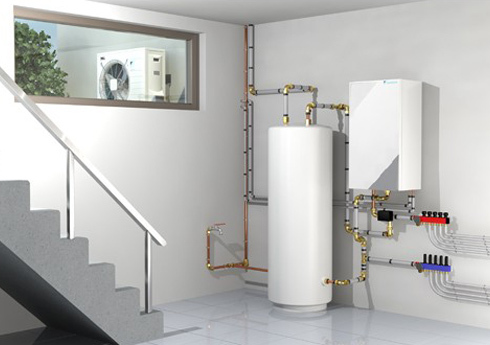 The underfloor heating / cooling installation is a pipe network embedded in the floor and powered by a heat pump. 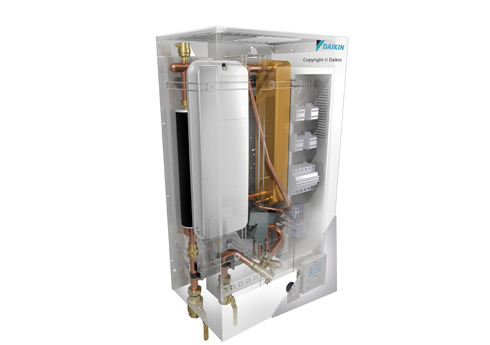 Depending on the needs of the season, it collects the heated water or the cooled air by the heat pump. During winter, the heat is disseminated through the floor to heat up the air inside your habitat. 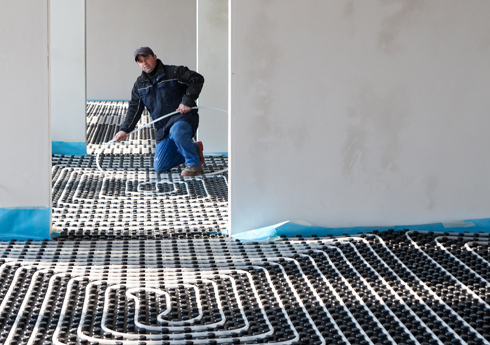 During summer, the floor absorbs heat from the habitat which will be forced out afterwards by the heat pump.